A jaw-dropping tribute to the music of Paul McCartney, and Wings! “Here Today” has performed to great acclaim everywhere from PEI to Vancouver Island, from New York to the Cayman Islands. 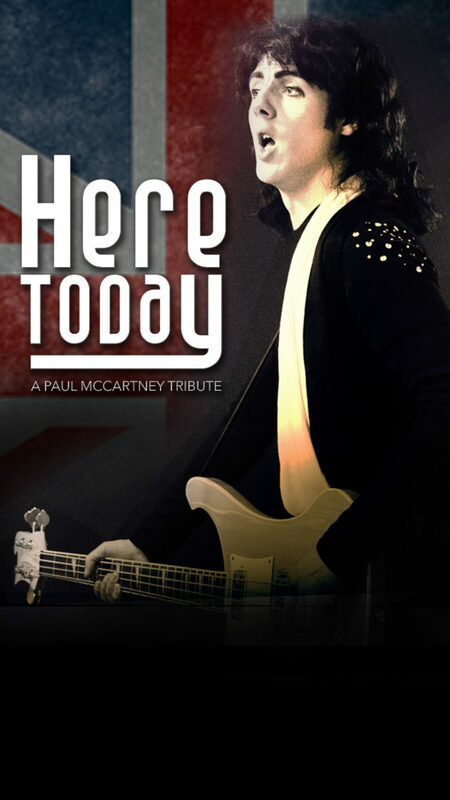 Featuring a live horn section, ripping guitar solos, and an authentic impersonation, this is the show that McCartney fans have been waiting for! No detail is spared in recreating all your favourites, including Yesterday, Live and Let Die, Jet, Band on the Run, Maybe I’m Amazed, and Let it Be.